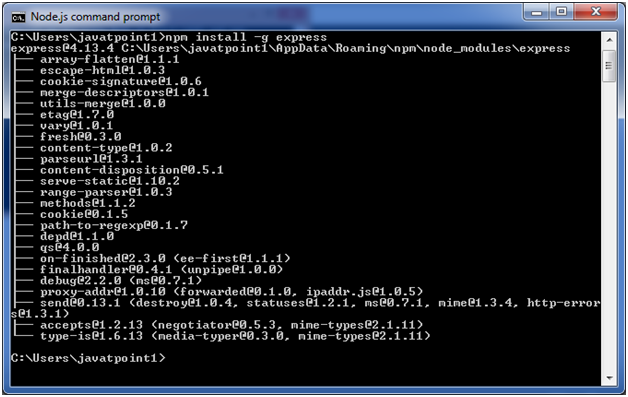 Firstly, you have to install the express framework globally to create web application using Node terminal. 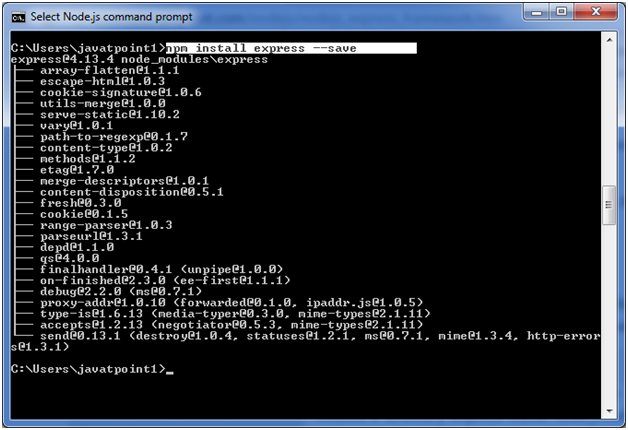 Use the following command to install express framework globally. body-parser: This is a node.js middleware for handling JSON, Raw, Text and URL encoded form data. cookie-parser: It is used to parse Cookie header and populate req.cookies with an object keyed by the cookie names. multer: This is a node.js middleware for handling multipart/form-data. Let's take a simple Express app example which starts a server and listen on a local port. It only responds to homepage. For every other path, it will respond with a 404 Not Found error. Open http://127.0.0.1:8000/ in your browser to see the result.